– Young adult and YA fantasy novels. 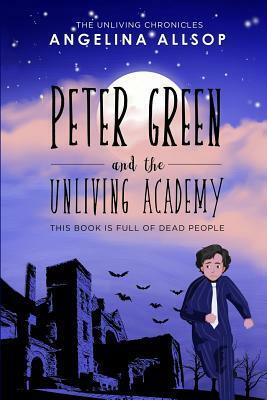 Peter Green and the Unliving Academy by Angelina Allsop is a bizarre yet highly engaging read. The pages are full of strange new things to discover. The school and its inhabitants are unique. No one student or faculty member is the same. A young boy finds himself in purgatory, dead. His journey takes him to the Unliving Academy. There he enjoys himself just like Harry Potter enjoyed Hogwarts. The writing is entertaining. Some parts are hilarious, scary, and mysterious. I never knew what to expect from one page to another. However, I cannot wait to read the next adventure in this new series. From young to middle school, students will enjoy reading this book. I sure did. Overall, the writing was fantastic and the characters were the best part.